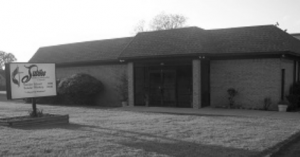 Jubilee United Methodist Church was officially formed on January 13, 1994, with an agreed merger of Trinity United Methodist Church and Celebration Christian Methodist Church (Fellowship) of Grand Prairie, Texas. The two congregations became founding members of the new church proposed for the southwest area of the North Texas Conference’s Dallas South District. The newly formed church was named Jubilee; and under the direction of District Superintendent Dr. Henry Master Sr., Rev. Daniel Dalton, Pastor of Trinity UMC, and Rev. Joey Connelly, Pastor of Celebration Fellowship Christian Methodist Church, Jubilee United Methodist Church was given birth. On February 20, 1994, the first worship service was celebrated at our present location with more than 30-plus families uniting as the founding members Jubilee. Over the next six months the church continued to grow. In October 1994, the present property at 301 Frank Keasler Boulevard was purchased by Jubilee through a loan from the Texas Methodist Foundation and guaranteed by the Dallas South District Board of trustees. On February 19, 1995, Jubilee UMC celebrated its First Church anniversary with pastor Dr. Henry L. Masters Sr., Organizing Pastor and District Superintendent of the Dallas South District of the North Texas Conference of the United Methodist Church. Dr. Masters’ tenure with Jubilee concluded the spring of 1995. In April 1995, Rev. Sheron C. Patterson was appointed senior pastor of Jubilee UMC and served six years with great success. Dr. Patterson’s tenure with Jubilee concluded in March 2001. In April 2001, Rev. Lucretia Cooksy was appointed interim pastor of Jubilee, and then appointed senior pastor at Annual Conference in June of 2001. In April 2007, Rev. Calvin Page was appointed Senior Pastor. In January 2011, Pastor Bob Davis II was appointed Senior Pastor.